Do you ever happen upon an editorial that you literally wish you could step into the page and live in it? Well, this happened for me when I read Paul Lowe’s recent feature in the December issue of Better Homes & Gardens. 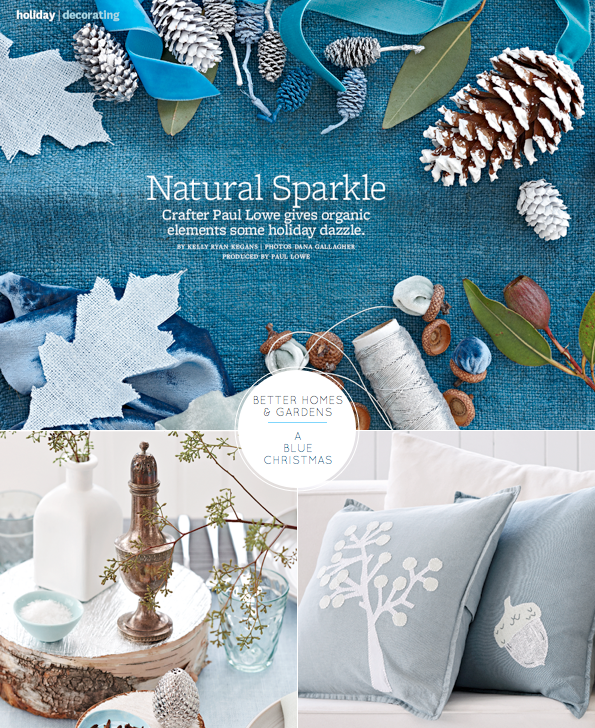 Beautifully shot by Dana Gallagher the story centred around a blue-hued woodland scheme created with crafty makes and natural, organic elements. 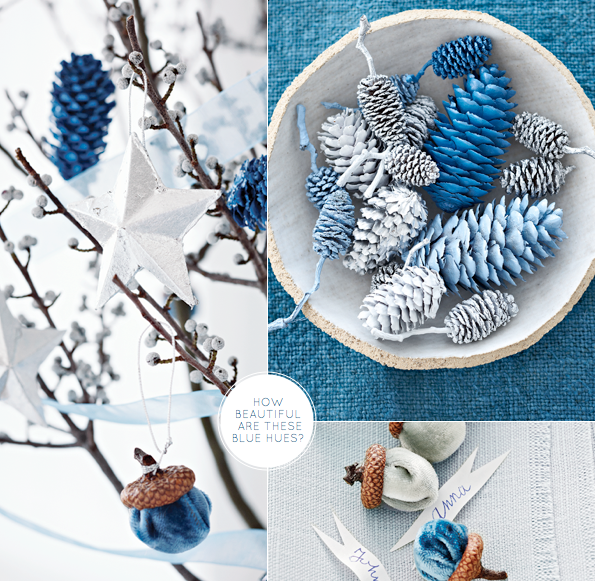 Last year, my tree was decorated with ice blue and teal baubles, so I was really inspired to see how the colour scheme could translate to a tabletop. My favourite elements of Paul’s Christmas decor are the pine cones hung from the back of each chair, the DIY votives and the potted branch sideboard tree. What inspires you about this holiday scheme? oh i have a whole bucket full of pinecones…so many ideas now! I was browsing BH&G today….love all this! My mom has always decorated her tree in these blue hues. beautiful holiday palate! So unusual and I just love how calm and relaxed it is– almost like a beachy holiday! @Vanessa – Yep, you said it, he is super duper talented! 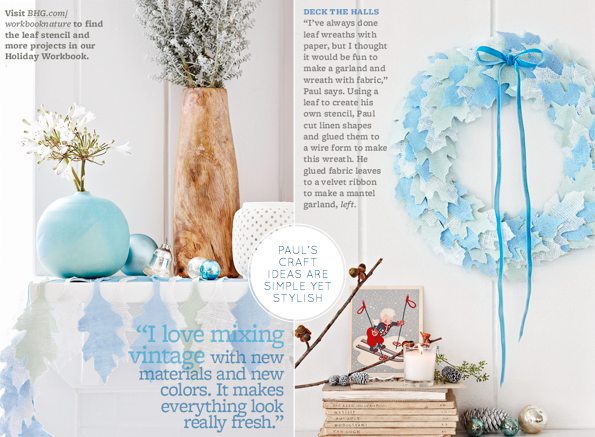 @mikky, Designwali, Greta – His blue scheme and craft ideas have me inspired to get making, too! @Heather, postcards and pretties, fox and fawn, Miss Rubio – Me too, love the ones that hang from the back of each chair. @Igor – Ditto. Blue is one of my fave hues! @Justina – You are right, there is a slighty beachy feel. Something I wouldn't normally associate with Christmas but now you mention it I can see it here slightly and it looks fab! @Amanda – I agree: it's contempoary but still festive. A good balance! @littletree – Great – I'll see you there for a little dinner party! I too have many blue Christmas ornaments Will. I'm not so keen on traditional Christmas decorating schemes 🙂 I adore the pinecones hanging from the chairs – divine! LOVELY! 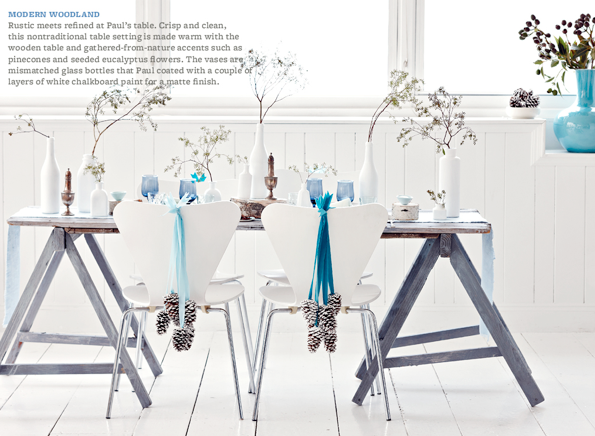 Wow, this gives me so many great ideas on how I can make my Christmas decorations… The styling is so beautiful as well. Thanks for sharing – I love your taste! I like the blue…at first I wasn't sure, but the more I look at it the more I like it for the season. Something different is always nice! Wishing you a happy day! I love “bringing the outdoors in” and the potted tree and spray painted pine cones are my favorite. 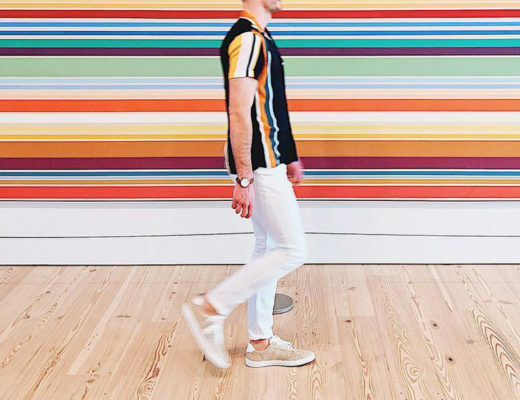 Ofcourse the simplicity of the color palette is pretty incredible too…..I'd actually like to get my hands on some of that linen used in the cover shot! @Deborah – Well you are very welcome and it's lovely to have you around! Hugs! 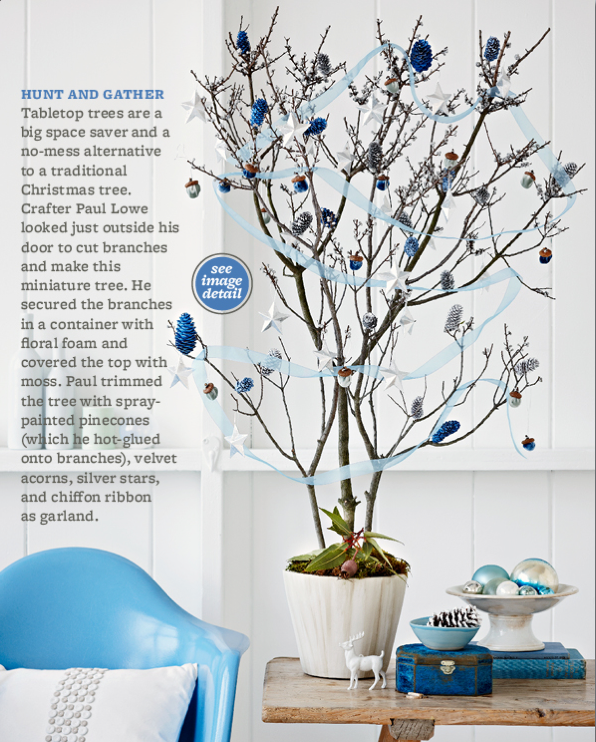 @Appunti – Yay for a blue-hued Christmas! @Liz – Glad you found Paul's lovely story inspiring. 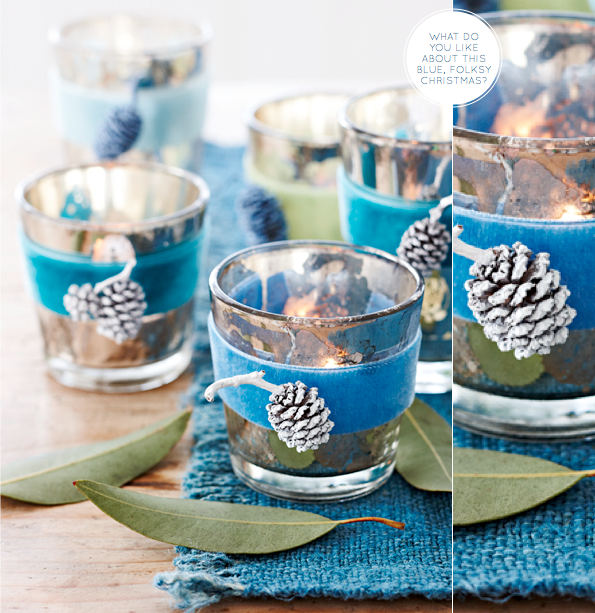 @Sarah – The votives are beautiful and easy to DIY, too! 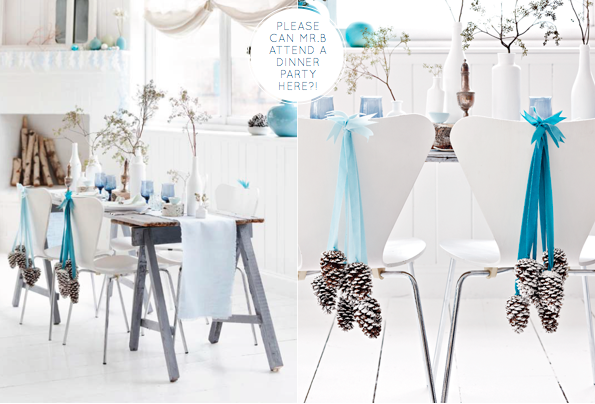 @White Tapestry – It's refreshing to see a new take on Christmas decorating for sure! @Whitney – Thanks so much, pleased you are enjoying it! Gorgeous! In love with this colour scheme – such a fresh take on the season!